This event has been moved to University of Houston’s Cullen Performance Hall. $5 parking is available in the Welcome Center Garage at the intersection of University Drive and Calhoun Road with the main entrance located on Calhoun Road. Questions? Call 713-524-5050 or email boxoffice@dacamera.com. 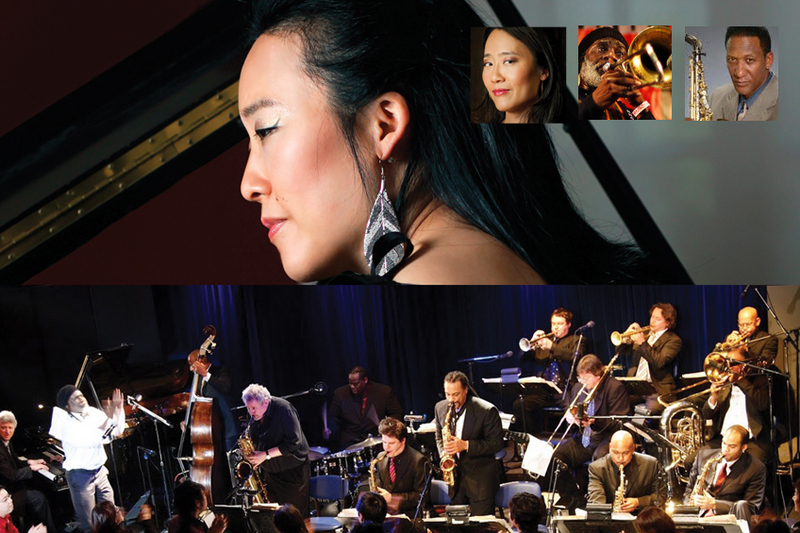 Pre-concert conversation with Helen Sung and jazz educator Robert Morgan at 7:15 PM in Cullen Performance Hall. The Grammy Award-winning Mingus Big Band celebrates the music of legendary composer/bassist Charles Mingus, who died in 1979. Under the artistic direction of Sue Mingus, this 14-piece band performed Thursday nights from 1991 to 2004 at Fez under Time Cafe in New York. It maintained weekly residencies in the city from 2004 until 2008, when it began Mingus Mondays at the Jazz Standard. The Mingus Big Band tours extensively in the United States and abroad, and has ten recordings to its credit, three of which have been nominated for Grammys. The ensemble won the Grammy for Best Large Jazz Ensemble Album in 2010 for Mingus Big Band Live At Jazz Standard. Pianist Helen Sung, a Houston native and graduate of HSPVA, has long been associated with the band and visits Houston for a homecoming residency. It’s not too late to subscribe now and get a 3-concert package. Save on single ticket prices and enjoy other benefits like the wild card good for a free ticket.